Mid Bloomer. 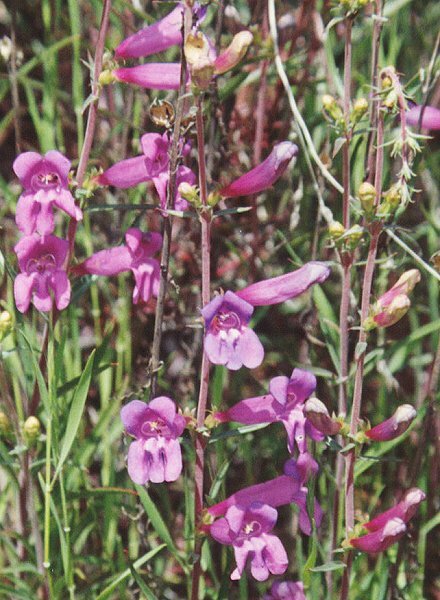 Large snapdragon-like flowers, shades of magenta to blue, smooth stems, many narrow leaves at the base. Notes: Figwort (Snapdragon) family. The coloration of blues, blue-violets, and purple to magenta make this one of our loveliest and showiest plants (although some can be red, pink or white). 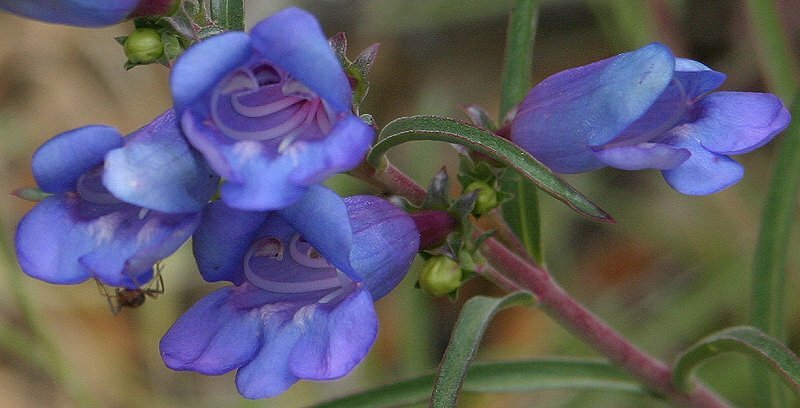 Penstemons have a long, narrow, tube, with a relatively small face. They often reach 3' to 4’ or taller. 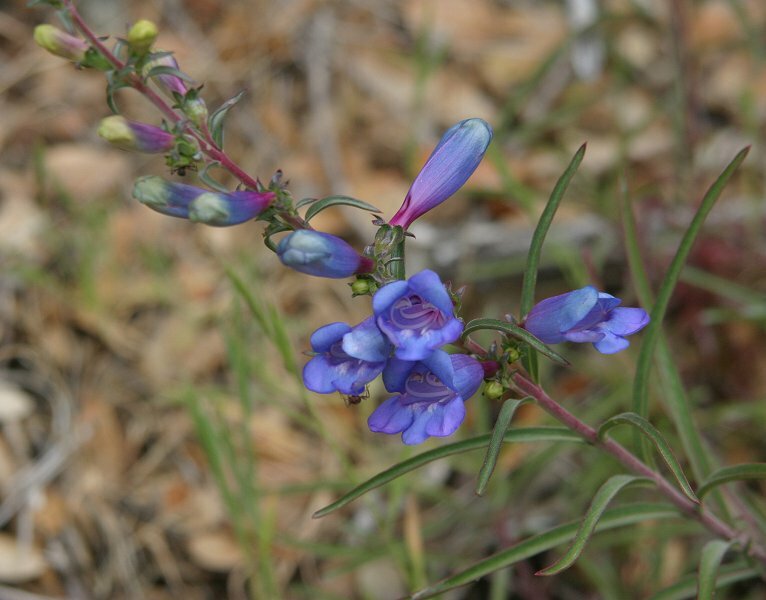 There are about 250 species of Penstemon, all in North America, most in the West. The USDA lists 249 Species and 388 accepted taxa overall. Penstemen means ‘5 stamens.’ Heterophyllus means ‘varied-leaf,’ probably in reference to the dramatic difference between the lower and upper stem leaves. Indians soaked the leaves and used the tea for a laxative. Powdered leaves and roots were used for sores, and raw leaf-juice to wash venereal disease sores. They made a wash and poultice for sores, and also steeped the tops of the plant for colds. In New Mexico, the flowering tops were boiled and the liquid drunk for kidney problems. If one observes the bees and hummingbirds that visit the flowers, it becomes apparent that each of the species has a different pollinator. This is one of nature’s way of preventing hybridization between species. This is another reason why the loss of even one species of pollinator can cause the loss of a plant and visa versa. Penstemen is a food source for the caterpillar of the Sierra Checkerspot Butterfly.